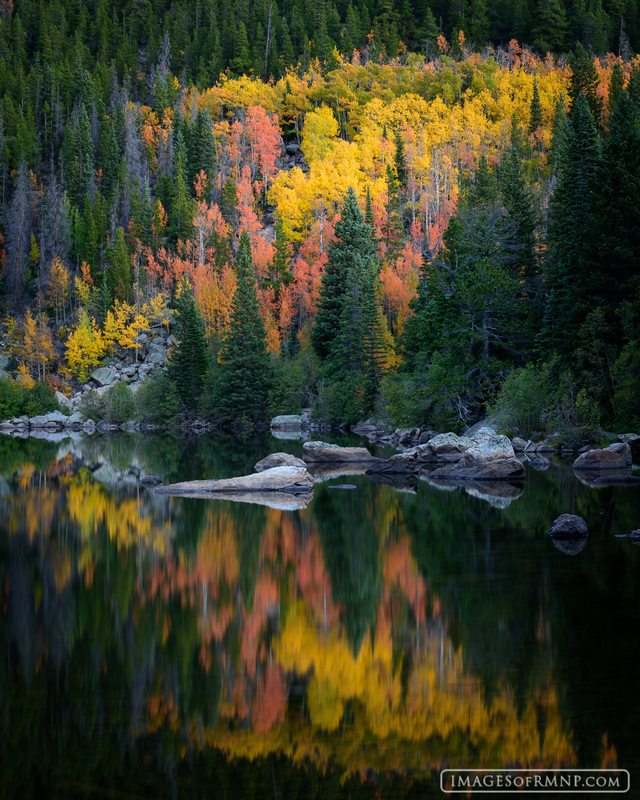 Every autumn the aspen trees on the north end of Bear Lake turn yellow and orange as they celebrate the end of the warm season. Once in a rare while the winds hold their breath allowing for a calm reflection of this beauty on an almost glassy Bear Lake. I was fortunate to be there for one such moment of great peace and tranquility. Photo © copyright by Erik Stensland.